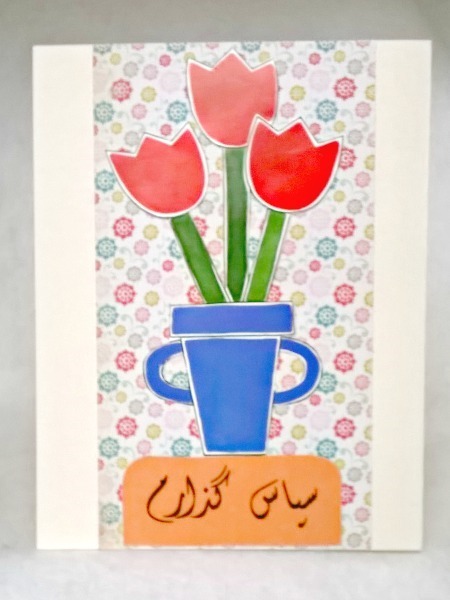 Send your Persian friend your gratitude with this sepas gozaram card. 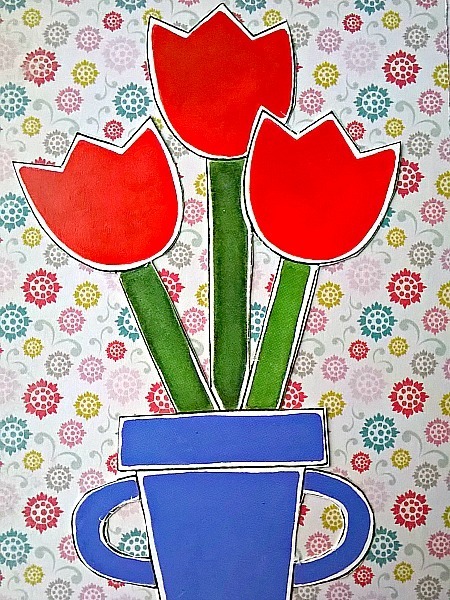 It features a bouquet of three tulip flowers in a blue vase. 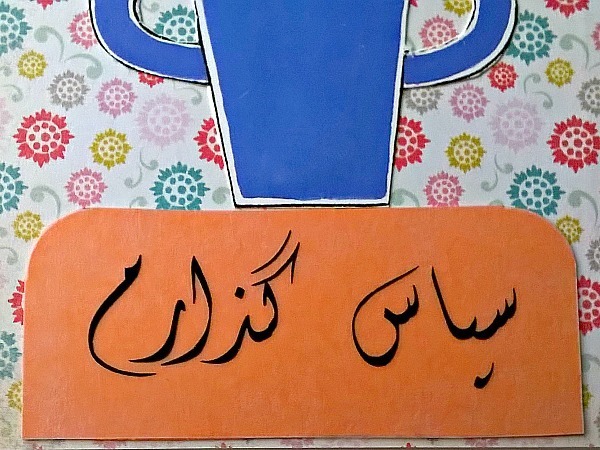 The vase is sitting on a shelf made of the words, which mean Thank You in English, which have been printed on vellum and added to orange cardstock. 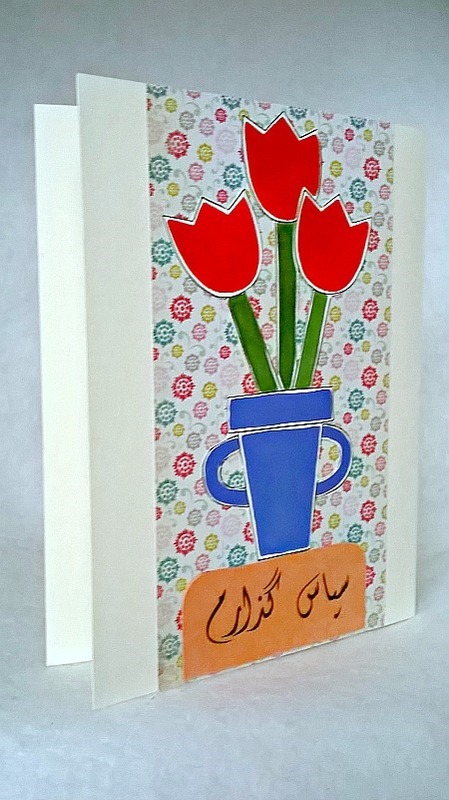 The background paper is multi-colored flowers in complimentary colors.